The United States Air Force launched an unarmed Minuteman 3 ICBM (intercontinental ballistic missile) from Vandenberg Air Force Base early Tuesday morning. 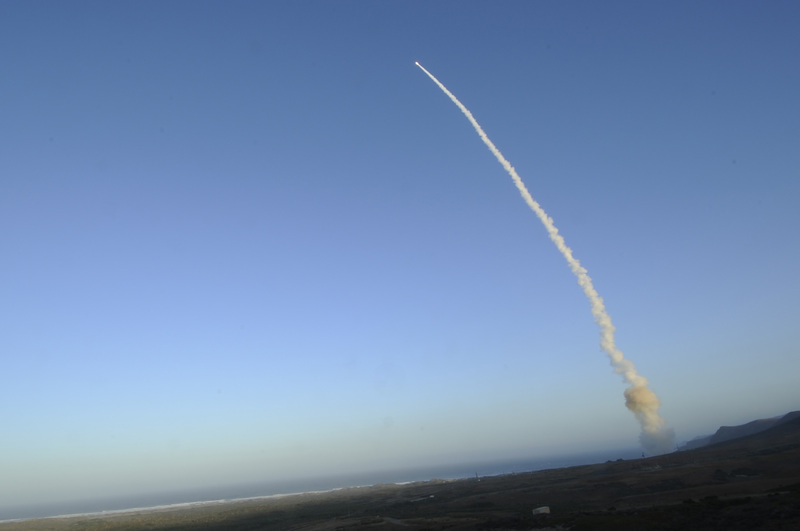 The test was programmed to take a 4,200 mile route to the Reagan Ballistic Missile Defense Test Site, currently under the command of US Army Kwajalein Atoll. Newsoberver.com reports Major General Jack Weinstein of 20AF as saying that the test was a demonstration of the United States’s nuclear deterrent capability. NATO reports that a coalition aircraft crashed in Southern Afghanistan, tragically with six dead. The aircraft is presumably a helicopter, however, no information has been released regarding the crash and recovery efforts as of yet.